It’s been five years since the smash-hit ‘The Lego Movie‘ reached cinemas, garnering Oscar and Golden Globe nominations, winning the Bafta for Best Animated Film, and earning a 95% score on Rotten Tomatoes. Since then the pretty good Lego Batman Movie and pretty average Lego Ninjago Movie have followed, whilst we’ve waited for a proper sequel to the film that started the franchise. With Phil Lord and Christopher Miller back in the writers’ chairs, exactly half a decade on the sequel has arrived. But is everything still awesome in Bricksburg? ‘The Lego Movie 2, The Second Part’ picks up exactly where the first ended, and exactly five years afterwards too, meaning real time and Bricksburg time are aligned. That’s quite important, but more on that later. Finn, the boy whose imagination built the first story, has had allow his sister access his father’s impressive LEGO collection in the basement. The resultant Duplo invasion has led to the destruction of Bricksburg, and Emmett, Lucy (aka Wildsyle), Uni-Kitty, Batman, and a multitude of minor characters now live in the post-apocalyptic ruins under the constant threat of further invasion. Picking up exactly where the first instalment left off has a certain Back to the Future vibe, one that makes itself more apparent as the film progresses. Much of the original cast reprise their roles, with the addition of a slew of new characters joining them, voiced by Tiffany Haddish, Stephanie Beatriz, Richard Ayoade, and many others. The animation remains frenetic and joyous, quite unlike any other computer-animated franchise and all the better for it. There’s more time spent in ‘the real world’ too, with Maya Rudolf joining Will Ferrell in parental duties. There are jokes aplenty, with more perhaps aimed at the adults in the audience than before, and there’s a wealth of movie references, from Mad Max, Mary Poppins, Superman and – as mentioned above – Back to the Future. It’s this last reference that provides the story with its genius moment. We were wondering how ‘The Second Part’ could capture the twist of the first, and it’s safe to say that it does – with such surprising depth that we suspect it’ll be lost on The Lego Movie 2’s core audience, but we’re glad it’s there all the same. Overall ‘The Second Part’ could never hope to appear as fresh and counter-cultural as the original ‘The Lego Movie’ did five years ago. However the ingenious explanation for Bricksburg’s troubles, a decision that Emmett must make that will resonate with every adult watching, and some of the catchiest (and cleverest) songs that cinema has ever created, make The Lego Movie 2 a gloriously enjoyable watch. Watch it with an eye on the metaphors too, and you’ll be thinking it over for some time afterwards. 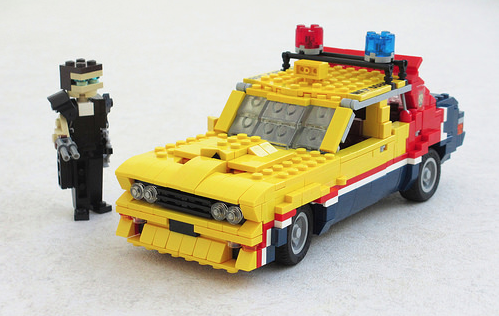 Lego stop-motion animation videos can turn you into a YouTube sensation. Discover the tips and tricks the pros use for creating stop motion animation videos. 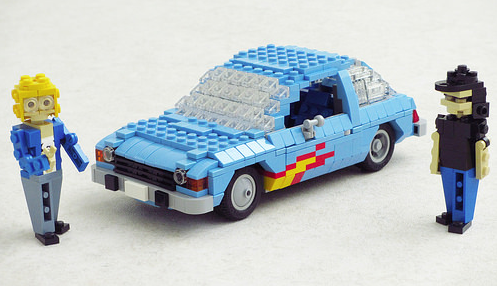 If you’re reading this, there’s a pretty good chance you’re still obsessed with LEGO. Regardless of how old you are, it probably started when you were a young child. After all, LEGO have been around since 1932. A lot’s changed in the last 86 years, but one thing remains; LEGO are the building blocks of our childhood. In fact, for millions, that passion for the little colourful bricks has extended into our adult years. Are you ready to harness that passion and become a Lego Professional? You may be thinking, “How do I do that?” The answer is simple. Create LEGO stop-motion animation and upload it onto YouTube. Do you think that’s intriguing but sounds a little complicated? Keep reading to find out how easy it actually is. So, you want to make your own brick flicks but you don’t know what you need or how to do it. We’ve got you covered. The first thing you need to get started is – surprise! – a camera. But you’ll also need a YouTube account. Shocked, aren’t you? Search for “LEGO stop-motion animation” or go to the official LEGO Movie 2 site and check out their trailer. No, it’s not stop-motion, but you can get some pretty cool ideas for your short. Once you have an idea what you want your movie to be about, let the process begin! You’ll need a LEGO set, a camera, a computer, and your imagination. Seriously, that’s it. With more than 130 different sets sold in the U.S. every year, you’re bound to find one you like. You may even be sitting on a Back to the Future set or a LEGO Batman set that was your source of inspiration for making the movie in the first place. Yes, your LEGO set, but you’ll have to build your movie set, too. This will be your backdrop for your film, so get creative. Or, don’t. You can use a plain fabric backdrop for a minimalistic approach. Set up your actors, put your camera on a tripod or stand, and frame your shot. This means looking through the lens and making sure everything looks the way you want it to. Doing this now will save you from having to go back and re-shoot scenes because they weren’t centered. Also, make sure there’s no glare and that you can’t see anything unsightly in the shot, like, that pile of dirty clothes in the corner. Make adjustments as needed. When everything looks good, you’re ready to film. You’re going to want to edit it at 15fps for the best results. That means “frame per second.” So, if you’re dreaming of a five-minute movie, that’s 15 frames per second or 900 per minute. That’s 4,500 shots for a five-minute stop-motion video. You’ll actually want to take more in case some of the don’t work out. Perhaps then it’s best to start small, maybe no more than a minute, then build your way up as you improve. Move your actors, but only a little. This is discretionary. The smaller the movement, the more fluid it will look. But, considering you need to take over 900 shots, you can plan on moving the Minifigures two paces or so for each movement. Keep this up until you reach the number of shots you need. You can use any stop-motion application on your computer that you can set to 15fps. Use Windows Movie Maker, iMovie – any of them will work and are easy to use. Upload your photos and put them in your storyboard order. You may decide you don’t need all the photos you took, which is expected. Go ahead and delete them but don’t forget to keep one for your thumbnail. This will let the viewer know what your video is all about. As a rule of thumb, the best YouTube thumbnails have added graphics like typography. There are programs out there like Adobe Spark that will guide you through this step. Once you’re done editing and everything looks good, you’re ready to upload your movie. Since your LEGO Minifigures can’t change expressions on their own, you’ll need to do it for them. To do this, you’ll have to swap heads with other Minifigures. This will add a lot of production time, so you may not want to do it until you get the hang of the Lego stop-motion animation process. If you’re thinking about getting a new LEGO set for your brick flick, be sure to check out our Reviews and remember to always Play Well! ‘A man went looking for America. And couldn’t find it anywhere’. The protagonists in Dennis Hopper and Peter Fonda’s 1969 cult movie Easy Rider may not have found America, but they found a lot of other things along the way. This brilliant Model Team recreation the Harley Davidson FLH motorcycle that Dennis Hopper rode in the film comes from previous bloggee Andre Pinto, and it not only recreates the bike in glorious detail, it’s been appropriately chromed (and flamed!) too. Hit the road in search of free love and LSD* via either Eurobricks or Flickr. Dominic Toretto had the coolest ride of all the Fast and Furious characters. As long as there were no corners a 1970 Dodge Charger R/T, fitted with huge supercharger, will outrun almost anything. 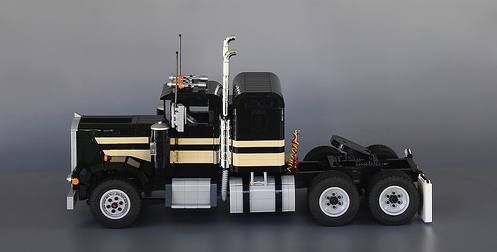 Flickr’s -derjoe- has recreated the iconic car beautifully in miniature. His Town scale version of the R/T was suggested by a reader and you can see the full image via the link above. …Pray that he’s out there somewhere. Mad Max Fury Road is currently setting movie screens alight, but it all began way back in 1979. 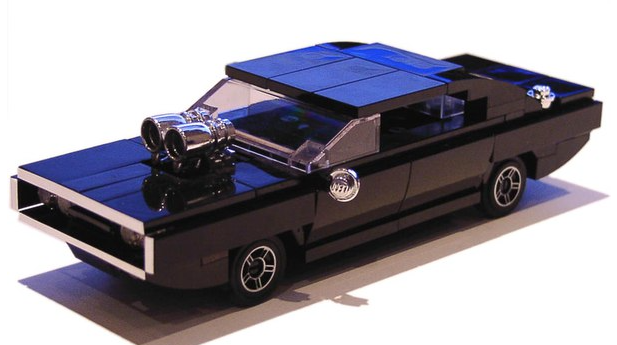 Ralph Savelsberg has added the Ford Falcon Interceptor from the film that started it all to his movie cars catalogue. There’s more to see on Flickr – click the link above and Get Mad. 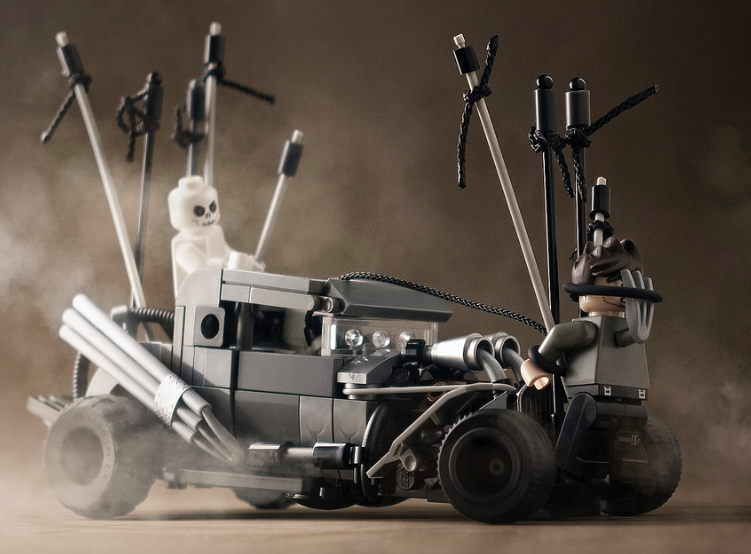 It hasn’t taken long for some of the incredible vehicles from brilliant 2015 film ‘Mad Max: Fury Road‘ to start appearing in Lego form. The first to appear here come from one of our favourite Town-scale builders; Flickr’s _Tyler. 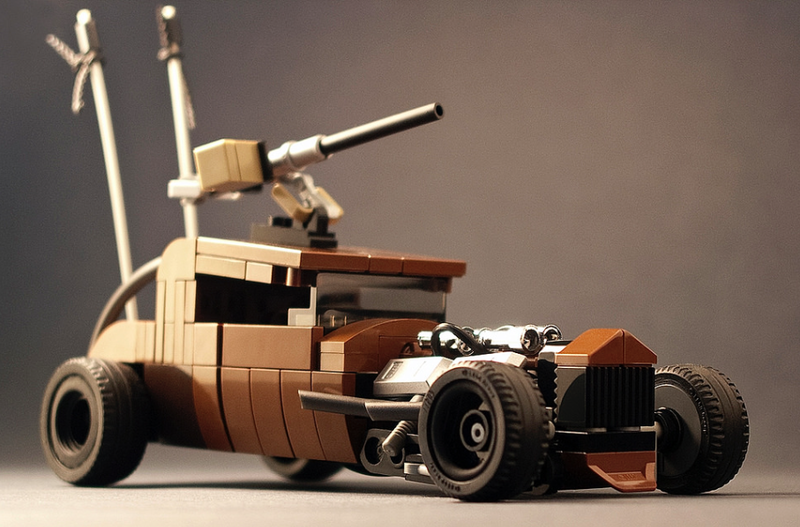 There’s lots more to see at his Mad Max photo album, including these epic recreations of vehicles from the latest movie, as well as earlier creations from the first Mad Max movies of the 1980s. Click the link above to witness him. What? Ahh… the Mirth-Mobile… You can see more of this AMC Pacer from the 1992 cult movie ‘Wayne’s World’ at Ralph Savelsberg (aka Mad Physicist)’s Flickr photostream. The surprise movie hit of 2014 was surely the The LEGO Movie, which received both rave reviews and piles of cash at the box office. Such has been its success that The Lego Movie’s sequel, snappily titled ‘The LEGO Movie Sequel’ is already in the works and set for release sometime around 2018. However production company Warner Brothers is rumoured to want even more from their new franchise, and so everyone’s favourite very very dark grey crimefighter might be getting his very own movie! 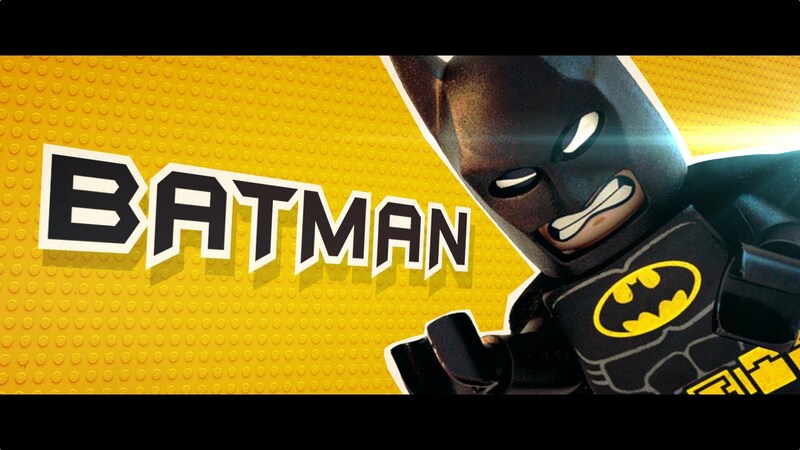 The as-yet-untitled LEGO Batman film is expected in around two years’ time, with the fantastic Will Arnett reprising his role as the Dark Knight. We’ll bring you more on this story once we’ve catapulted a few more Elves into the Warner Brothers’ offices, but for now you can click this link to see what Batman got up to after The Lego Movie ended. Okay, we admit it, the Elf Riot was our fault. It all started when we promised our pointy-eared workers a night off, watching a DVD. The story was based on a book by the man who wrote James Bond and the film features some explosions and a transforming car. What could go wrong? 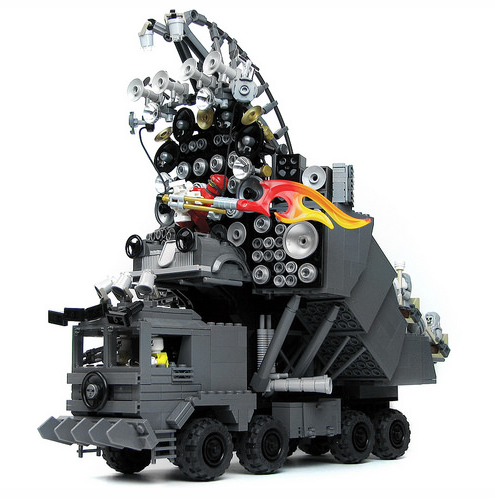 Anyhow, relax and feast your eyes on Ralph Savelsberg’s latest creation in his series of vehicles from film and TV. 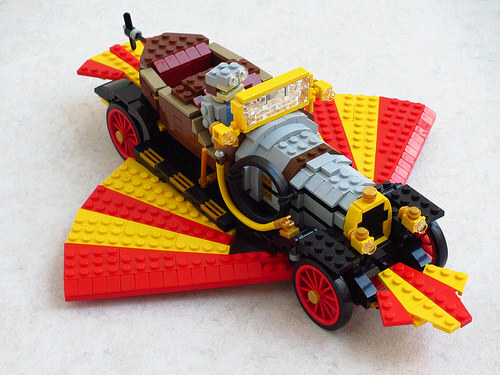 Featuring detachable wings and a brick-built Caractacus Pott, this Lego version of the most expensive theatre prop of all time looks splendid on its vintage, 1970s wheels. 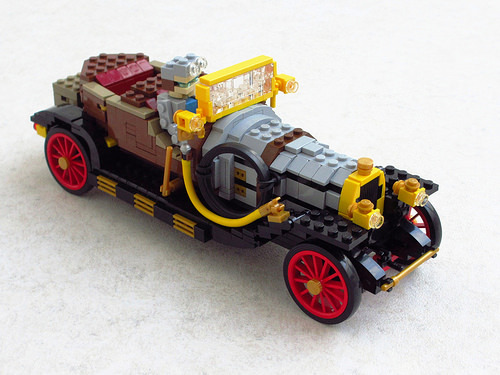 Click the link in the text to see more photos of this car, including WIP shots and Ralph’s neat solution to building Chitty Chitty Bang Bang’s long exhaust pipe. *They’ve started to demand payment in Toot Sweets instead of Smarties. This radio station was named Kowalski, in honour of the last American hero to whom speed means freedom of the soul. The question is not when’s he gonna stop, but who is gonna stop him. Ralph Savelsberg pays homage to one of the greatest road movies of all time. See more of Kowalski’s Dodge Challenger here.